How to delete old and previous calendar events from iPhone iPad? This tutorial offers you two ways to make it. If you are stuck with the same problem as the user like above, you may want to delete those old and useless calendar events. You may not know how to delete them all at once, and have to clear them one by one. 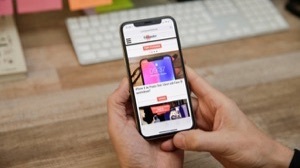 In this iMobie guide, we will recommend you two methods to delete events from iPhone & iPad. Find your “Calendars” app on the iPad & iPhone. Tap on “Calendars” at the bottom. Tap on “Edit” button at the top. Tap on the Calendar event you want to delete. Tap on “Delete Calendar”. Then tap once more on the popup. This is an ordinary way to remove an event from iPhone calendar. Deleting all kinds of events one by one is just so tedious and wastes time. 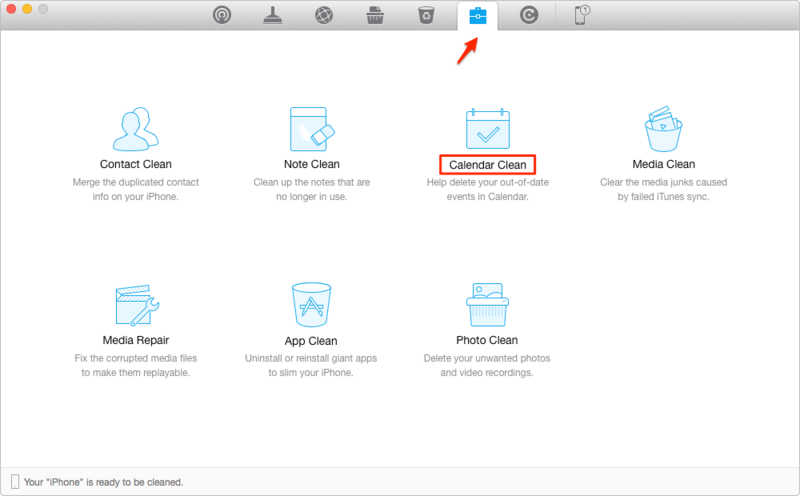 You need to use a cleaning tool named PhoneClean to let you delete events from iPhone & iPad with a few clicks. 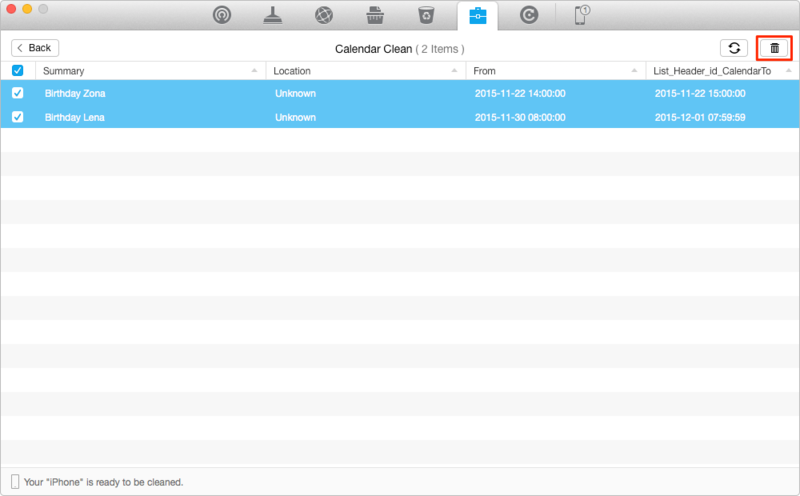 PhoneClean is the professional eraser to clean up the unwanted content on your iPhone iPad to free up space. It provides two modes, one is “Quick Clean” that helps you to scan and strike out all kinds of junk files (like caches, cookies, temp files, app crash logs, etc. ), the other one is “Deep Clean” that could aid you to clean out the private data, such as, messages, Safari history, call history, etc. It also has a mode named “Tool box”, which could let you clean out duplicate contacts, unwanted photos, and outmoded calendar notes & events, etc. And it will create backup files, for the sake of mistaken deletion by user. Free download and install it on your PC/Mac, and connect your iOS device to PC/Mac via a USB cable. Step 1 Launch PhoneClean > Click on Toolbox on the homepage > Choose Calendar Clean. Step 2 Select the events you want to delete > Click on Delete button. Best cleanup tool to remove all kinds of junks from your iPhone iPad to spare more storage and run as fast as new!